Myrtle Laronde passed away at the age of 80 years on December5, 2018 in Canora, SK. A traditional wake was held on Friday, December 7, 2018 from the Cote First Nation Band Hall. A funeral service was held on Saturday, December 8, 2018 also from the Cote First Nation Band Hall. Interment followed at the New Cote First Nation Cemetery. Myrtle is survived by her son Randy Laronde, daughter Gail Laronde, Grandchildren; Nicole Laronde, David (Janelle) Laronde, Clayton Laronde, Oved Peterson, Ivana Peterson, and Great Granddaughter; Elowyn Laronde. Also by her siblings; Josephine Cote, Anita Vandenbogerd, Tina Parsons, Ester Sundown, Laura Shingoose, Veronica Shingoose, Presley Shingoose, Tex Shingoose, Blake Shingoose, and Jeff Shingoose. Her close family and friends; Blake Shingoose, Corrine Body, Penny, Jessica, Ryan, Reynold (Moose) Friday, Hazel Ferland, Darren Cote, Dave Smalley, Bernadette (Bonnie), and Farrah Pelly. 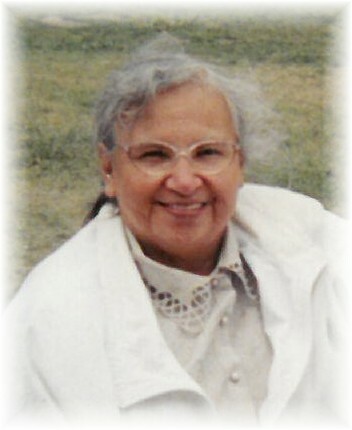 She was predeceased by her husband Charlie Laronde, son Charles Laronde, baby son Wayne Laronde, parents; Abbie Grace Cote and Edwin Cote Sr., brothers; Fred (Butcher) Cote, Edwin Cote, Brian (Law) Shingoose, Arnold (Jap) Cote, and sister Melvina Cote.